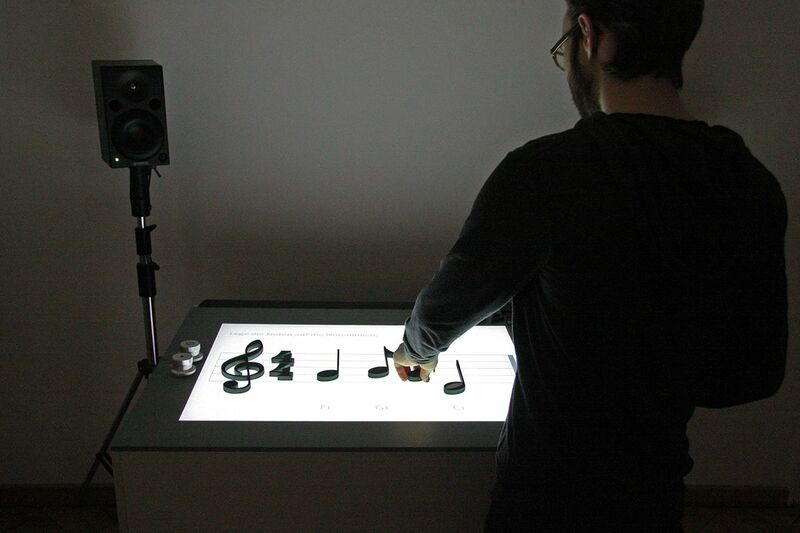 A prototype for an interactive music table with tangible notes, that combines all three senses of hearing, sight and touch. 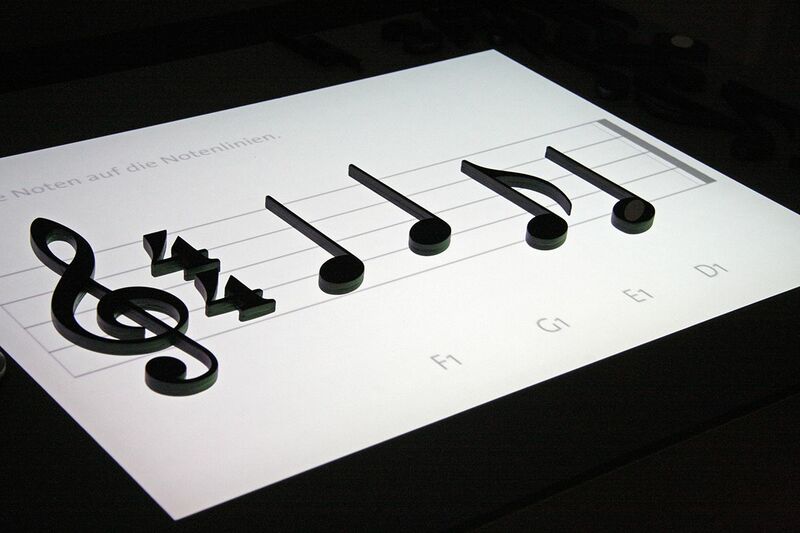 Noteput aims to make learning the classical notation of music more easy and accessible. 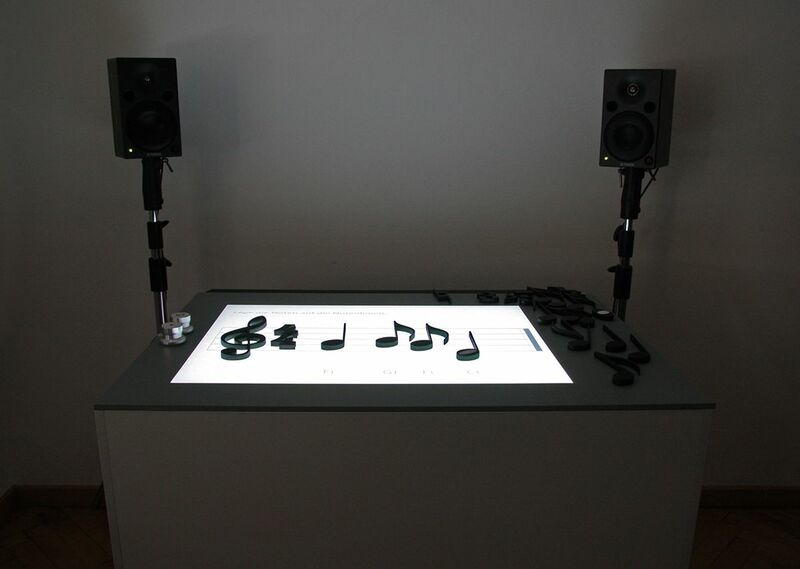 “Noteput” is an interactive music table with tangible notes, that combines all three senses of hearing, sight and touch to make learning the classical notation of music for children and pupils more easy and interesting. All basic clefs, note values and accidentals exist as single wood elements. 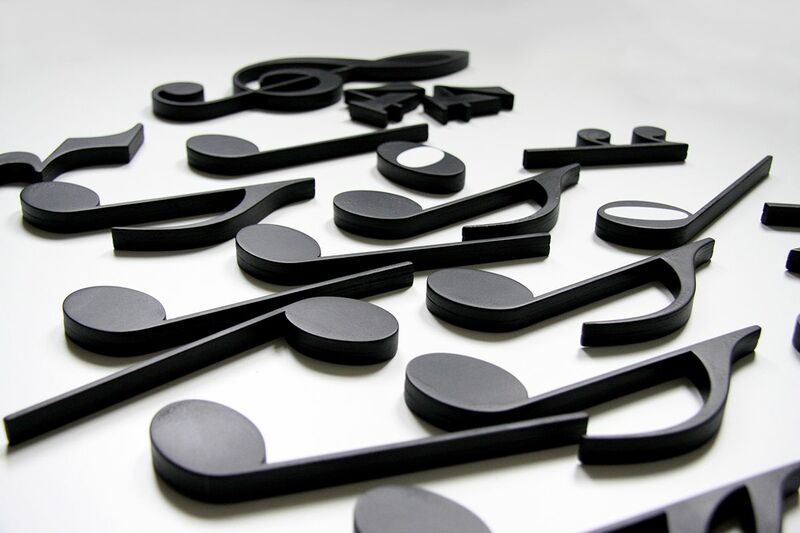 Whole, half, quarter and eighth notes differ not only in their form, but also in their weight: Long note values are heavier than short ones. 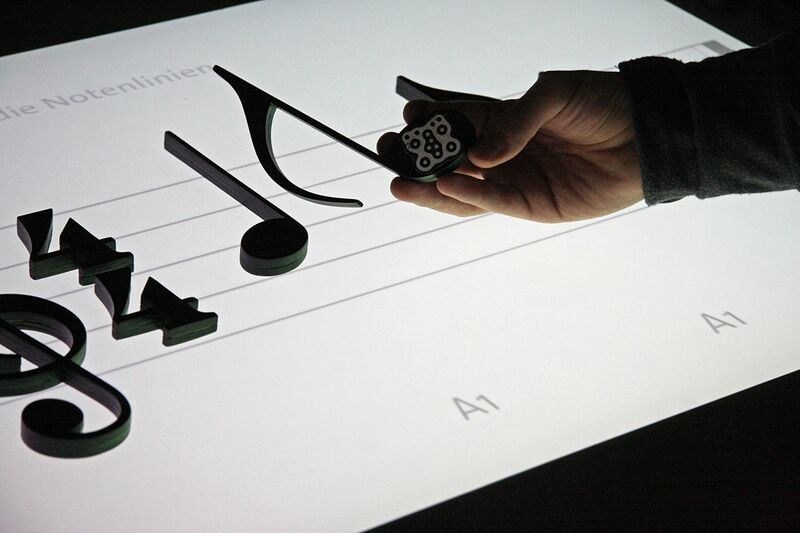 To activate “Noteput”, simply put the treble clef on the table. 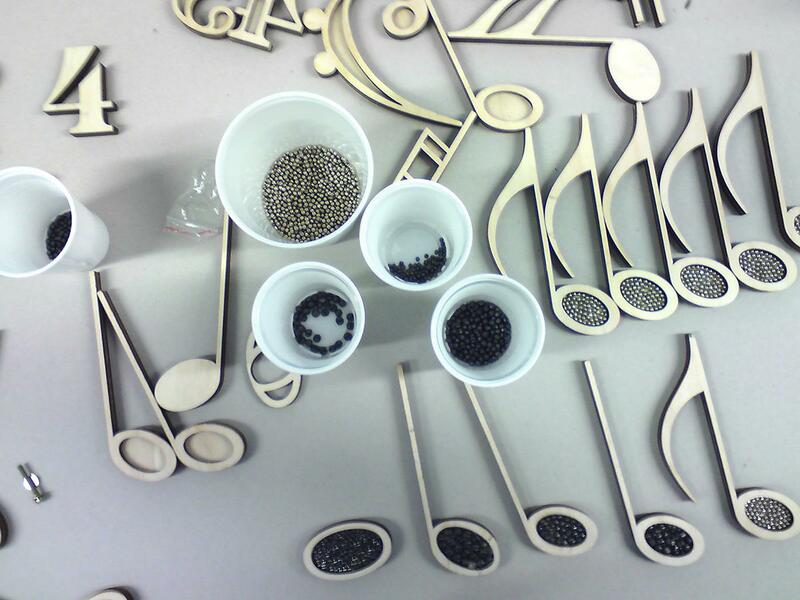 As soon as a note is placed on the staves, the respective sound is heard. 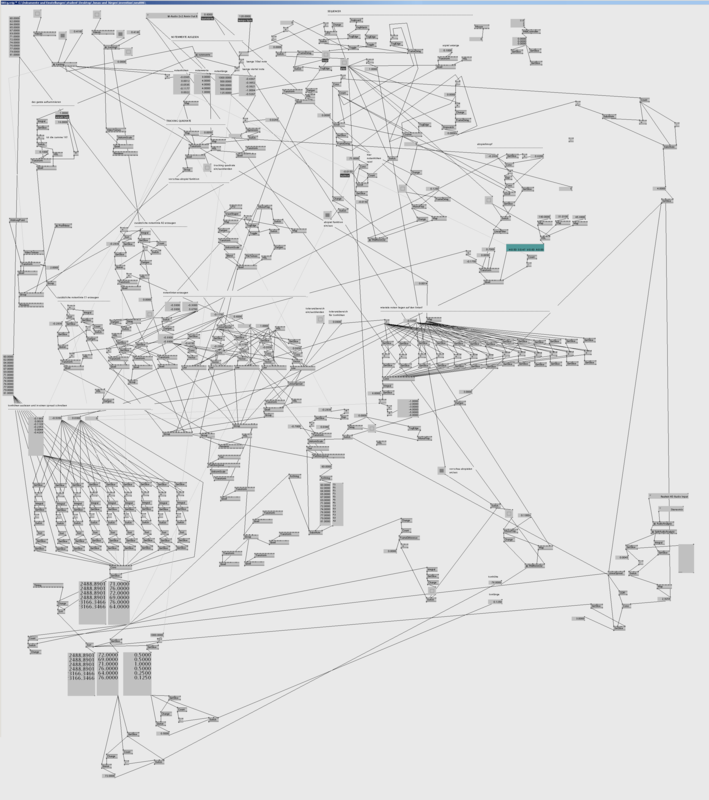 That serves as a kind of preview and an orientation while putting the notes. 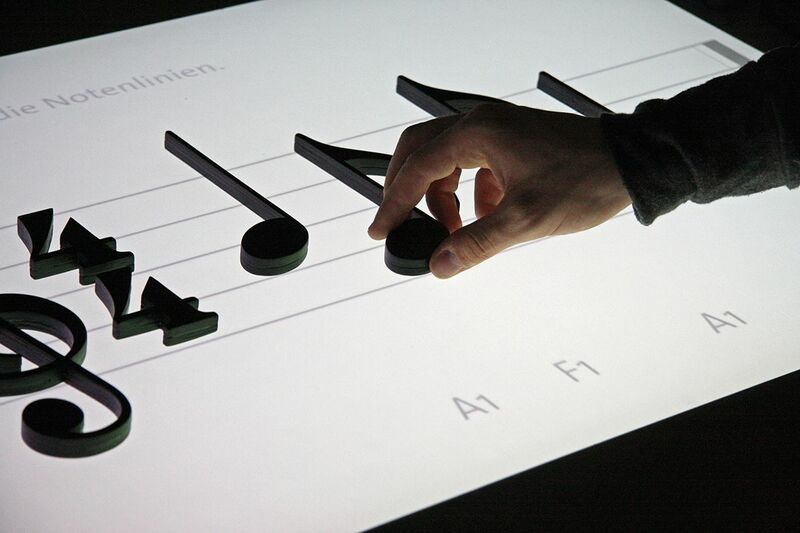 If several notes are on the table, you can hit the play button and listen to the notes in relation to each other and considering note values. In addition to piano other instruments like guitar, flute, vibraphon or e-piano can be chosen. It is also possible to play the notes in a loop. That way it is easy to compare how the current note sequence sounds like and how changes of the notation immediatly influence the music. 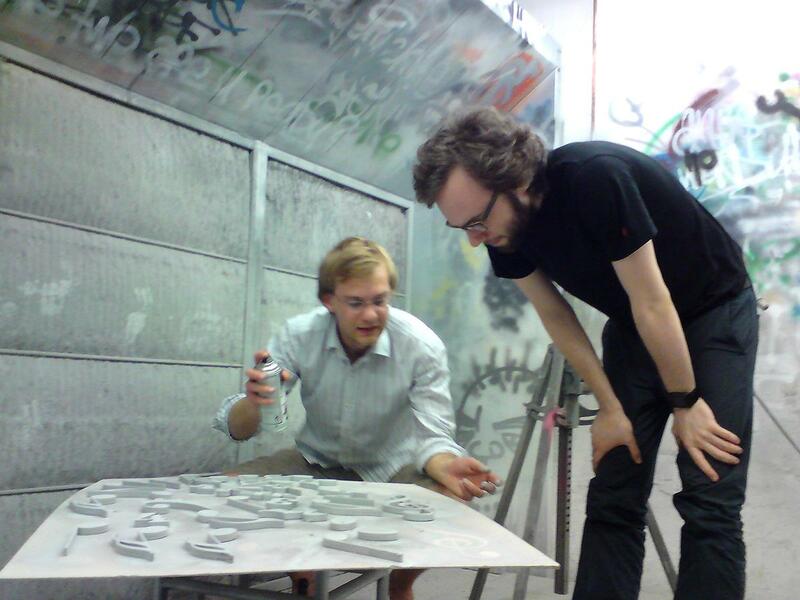 The theoretical basis for the Output project was the theses, that a combination of as much as many senses leads to the best learning results. One’s motivation plays a key role in the process of learning and remembering. 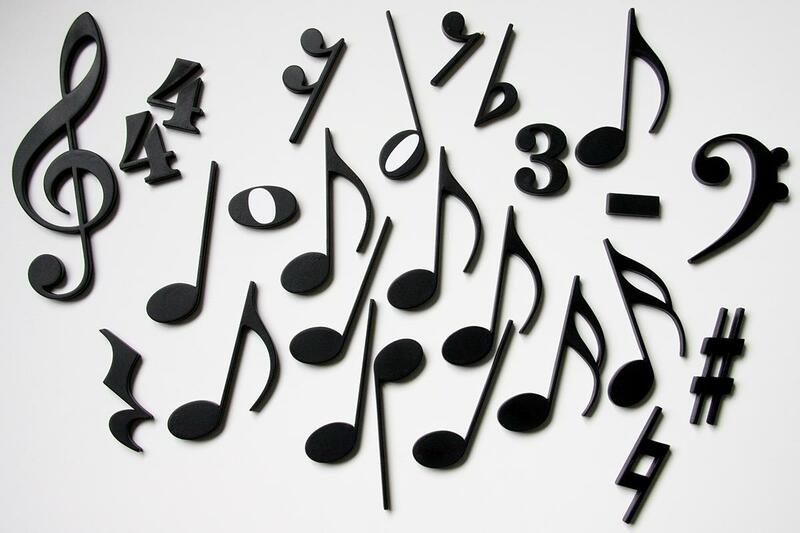 With the fundamental approach of tangible notes Output does not only want to reach music interested children and pupils, but mostly those who have not yet enjoyed music lessons and have thought of learning the notation as a burden. 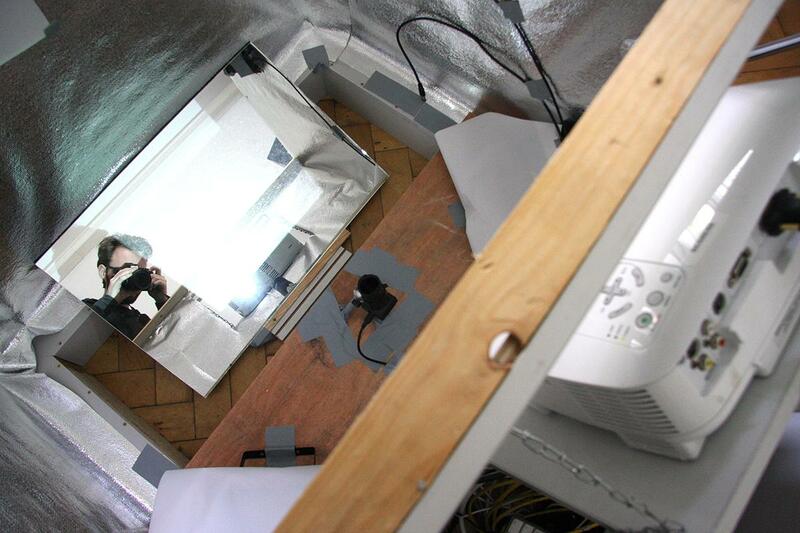 As proof of concept we built and programmed a functional prototype of the table with slightly reduced functions. 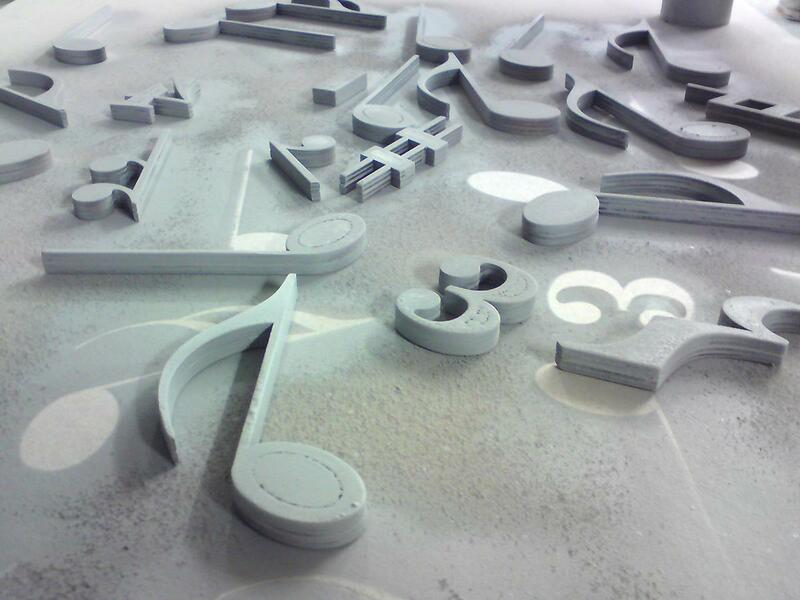 All elements were cut out of thin wood plates, weighted differently with lead balls and painted black matte. 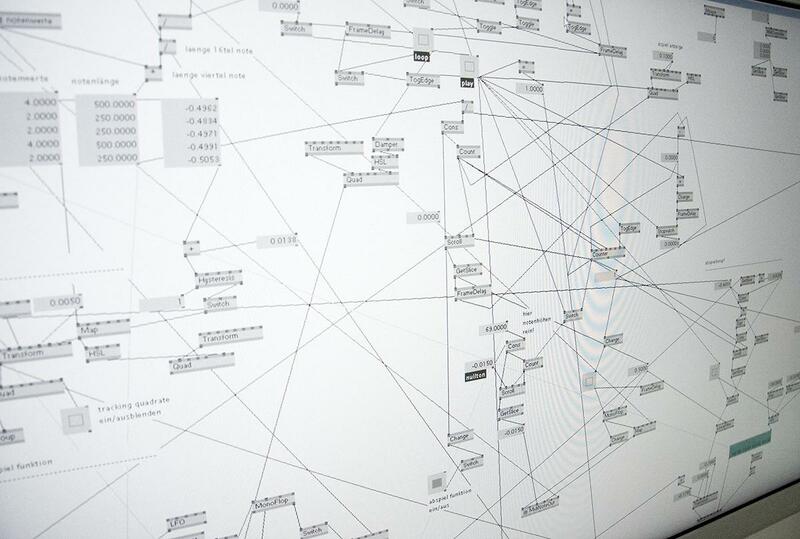 The technical part was done with the visual programming language vvvv and the so-called reacTIVision Fiducial Markers. 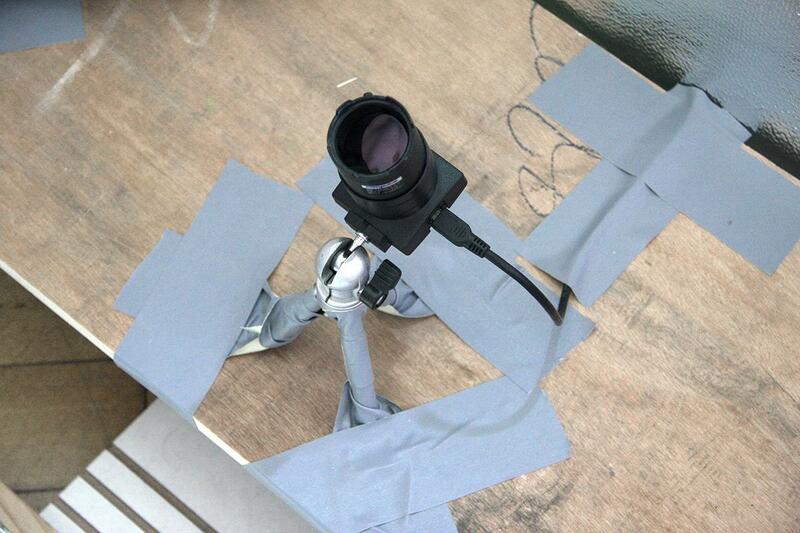 Each object has a unique marker at its bottom, which is tracked with a camera placed inside the table. The software recognizes the marker and is therefore able to define which note with what note value is at what position on the staves. 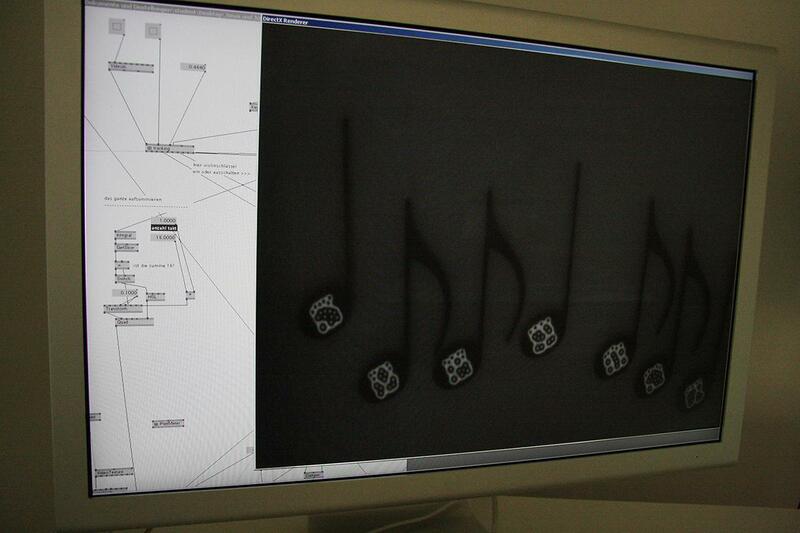 With this data a vvvv-patch computes the respective note sequence and sends it via MIDI to a sound software, which then can play these singals for different instruments.